30 Minutes of Push Ups. Team 2457, TheFatGuy 491. Well, the team and TheFatGuy did a good job with the push ups! 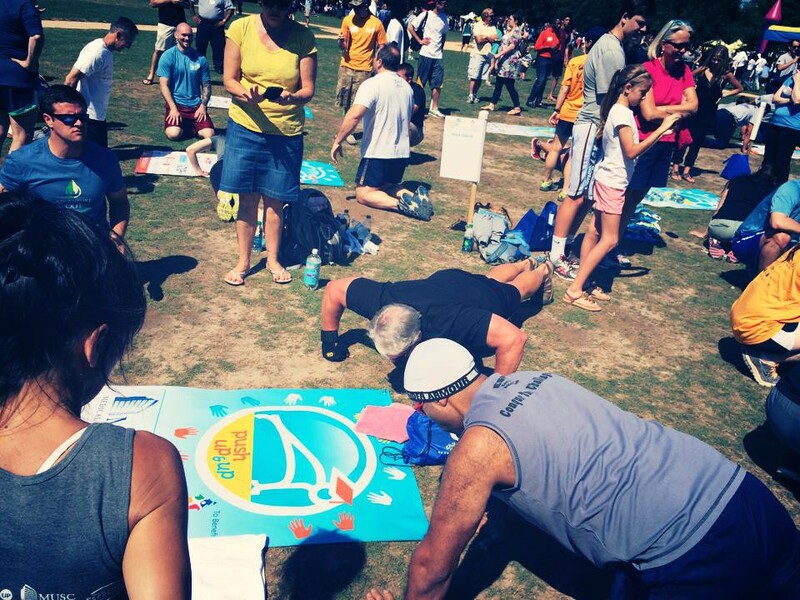 On May 17th, I’ll be doing push-ups at Marion Square for 30 minutes to raise money for the 3rd annual Push-Up & Up Challenge to support dropout prevention programs. TheFatGuy (yes me) will be doing ALL knuckle push ups! I am part of a 6-person team competing to see which team can do the most push-ups and raise the most money for drop-out prevention programs in the Charleston area. Please support me in reaching my team goal of raising dollars for push-ups by donating. We’re asking $1 per push-up for any number of push-ups you want to sponsor! For example: $25 = 25 push-ups; $100 = 100 push-ups; $250 = 250 push-ups. Just do what you can to help. Proceeds raised from the event will benefit Communities In Schools of Charleston Area, a national dropout prevention program that empowers at-risk students to stay in school and achieve in life. Thank you for supporting Push-Up & Up. Your contribution is greatly appreciated. Go to TheFatGuy’s Push Up & Up page to support him in his efforts.